UHF Radios can be a fundamental bit of kit for all 4x4 drivers, off road drivers and people traveling in remote areas, as they provide a source of communication when there's no mobile phone reception.Sparesbox have taken out the guesswork and sourced only the best range of UHF Radios from GME to ensure you get the best products possible. 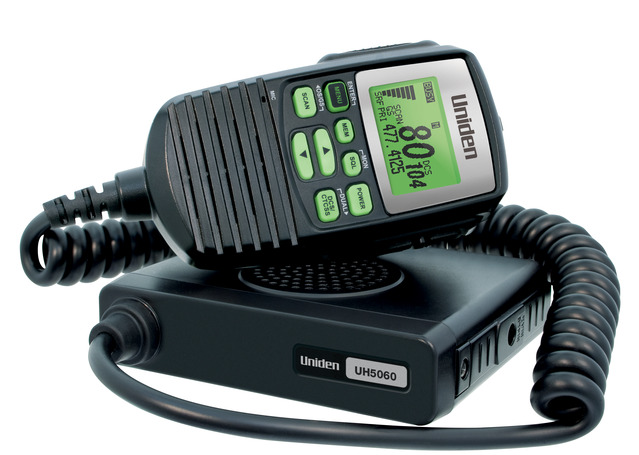 UHF Radios and UHF CB Radios are Ultra High Frequency Citizen Band Radio, available to all Australians for free without requirements for licencing or registration. UHF Radios have 80 channels available for users including access to emergency channels. Repeaters and Antennas enable extended the range for UHF Radios, meaning you can get better communication over longer distances. What are the Benefits of Good UHF Radios? UHF Radios are an important communications device for anyone considering venturing into the remote and isolated areas especially in the Australian outback. An ideal tool for professionals and travellers alike who need to keep in touch with the outside world. Build to endure harsh conditions, UHF Radios provides a line of communication between travellers as well as emergency lines. Good quality, well-installed UHF Radios provide a higher frequency, helping users to communicate across larger distances, able to penetrate through natural and man-made structures.With 80 channels available UHF Radios have a minimised possibility of frequency intersections between users. With different channels assigned to different types of drivers and services, UHF Radios ensure the best and quickest communication line. Synonymous with quality and reliability, GME are a privately owned Australian company that have been around for over 50 years. GME's UHF Radios are heavy duty, durable, high performance and great value for money. Sparesbox have a fantastic range of GME UHF Radios including, Handheld UHF Radios, Waterproof UHF Radios and fixed mount radios for use in a wide range of off-road vehicles and 4x4s. Be sure to check out our range of Antennas so you can have the ultimate UHF Radio set up with maximum range ad capability.